Lirik Lagu "Archangels of the Sephiroth" dari Stellar. 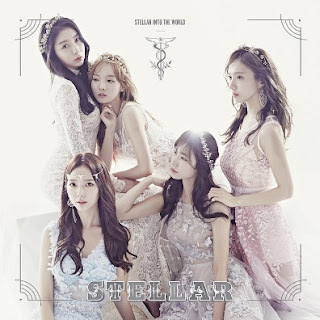 Lagu ini ada di Album Stellar In To The World 3rd Mini Album yang didistribusikan oleh label The Entertainment Pascal. Berikut cuplikan teks lagunya "seong-gwa gamjeong-eul i yugchesog-e kkeul-eoango (ha gung-geug-ui milo) kkeut-eobsneun…". “Archangels of the Sephiroth (세피로트의 나무)” is a title track recorded by South Korean girl group Stellar (스텔라). It was released on June 27, 2017 by The Entertainment Pascal. I embrace reason and emotion in this body. Disclaimer : Blog ini tidak menyediakan link Download lagu Stellar – Archangels of the Sephiroth (세피로트의 나무) mp3. All song lyrics on this website is copyright / property of the authors, artists, bands and music labels are concerned. all materials contained in this site including the lyrics of the song are for promotional and evaluation purposes only.